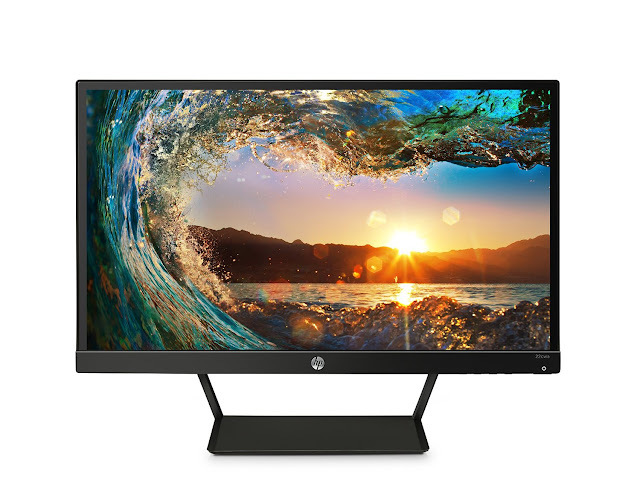 With a 21.5-inch screen and 1920 x 1080 Full HD resolution, the HP Pavilion 21.5 inch monitor has some of the crispest images and best color reproduction on a sub $300 monitor. Granted it's not the same as retina display, but you're only paying a fraction (one-seventh) of the $699 price of the Mac Thunderbolt display. If you're looking to set up a dual monitor system to increase your productivity, it's Bezel-less design allows for minimal gap between the two screens. This is important as I always find the gap between screens can be a big distraction. Using an IPS panel, the HP Pavilion Monitor, allows for a wide viewing angle of 178° and also better color consistency and clarity compared to TN monitors. This makes it a good choice for graphic designers or for watching movies. Ordinarily, IPS monitors have a longer response time that TN panels. However, the HP Pavilion Monitor's response rate is a very respectable 7ms. To put that in perspective, competitive gamers look for response rates of 5ms and below and you're unlikely to notice any lag below 10-12ms. As for the refresh rate, the HP Pavilion 21.5-Inch IPS LED HDMI VGA Monitor has a refresh rate of 60 Hz. 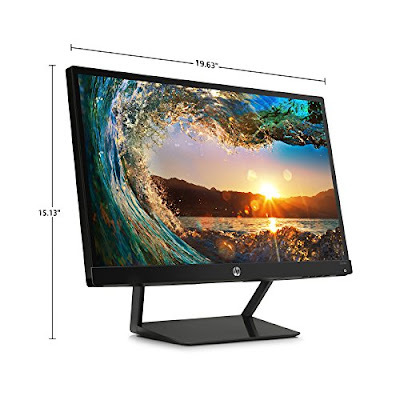 Using LED backlighting instead of CCFL allows the HP Pavilion monitor to be thinner, lighter, more energy efficient and have better contrast ratios. It's no wonder then that it is ultra-slim and is Energy Star certified. In case you're wondering, you can connect the HP Pavilion Monitor to your Macbook pro. I have a Macbook and I use either a HDMI to displayport cable or a displayport to VGA adapter, Personally, the HDMI cable offers better image quality, but maybe that's just my imagination. Do note that it doesn't ship with HDMI cables (only a VGA cable) and you'll have to use your own. They should have thrown one in, in my opinion, but i guess i cant complain too much given the low price. If you're running multiple machines, you could hook both devices up to the HP Pavilion monitor at the same time and switch between them by toggling the input from the monitor directly. You should note that the HP Pavilion 21.5-Inch Monitor doesn't come with any speakers, which is just fine by me. Laptop and monitor speakers tend to be not very good anyway and I was able to buy a great set separately for around $100. One minor inconvenience is that it doesn't come with a built-in camera. If you're planning to make video calls / video conference / Skype, you will need to buy your camera separately. If you buy the HP Pavilion 21.5 inch monitor from Amazon, it comes with either a standard one-year or three-year warranty. Do note that certain restrictions may apply. If you've read any of our other buyer's guides, you'll know that I place a great deal of importance on customer ratings. Overall, Amazon customers have given the HP Pavilion 21.5-Inch Monitor a 4.5 out of 5 rating, based on over 1,800 customer reviews. Equally impressive is the fact that 89% of customers have given it either a 4 or 5 star rating. It's no wonder then, that it is the top selling monitor on Amazon. Disclosure: There are affiliate links in the post above which have helped us to keep the site going. Thanks for all your support over the years. HP Pavilion 21.5-Inch IPS LED HDMI VGA is best computer monitor on a affordable price. It has full HD installation has some of the crispest images and best color reproduction. Buy online Macbook Pro 15 Inch Retina Case at a very affordable price.